This article was posted on Friday, December 14, 2012. By Sheppe Pharis. I am a long-time coffee drinker, and over the decades I've worked my way up from drip coffee, with water poured manually from a kettle over pre-ground Folgers, to Tim Horton's coffee, to Second Cup coffee, to Starbucks coffee, to Starbucks espresso, to my current source: a local italian barrista who brought his techniques, as well as his bean roasting secrets, to our little city. This guy makes the best espresso I've ever had, and I feel that this is probably the best that I will ever have. That said, I can't afford to go out for espresso every day, multiple times a day, so I have to make my own at home too. When I'm in a coffee mood, I have my Cuisinart Grind and Brew coffee maker, and for espresso I've used a Breville Cafe Roma Espresso machine. 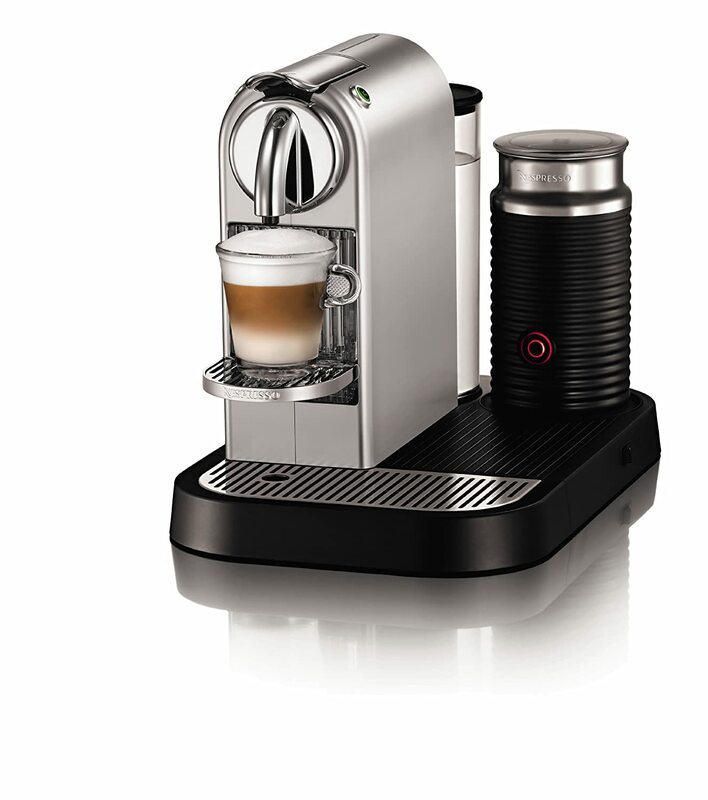 Then along came the Nespresso CitiZ Automatic Espresso Maker and Milk Frother. This wonderful machine makes some of the best espresso I've ever had, and considering that I'm getting this at home, I couldn't be happier. The process is simple--pick your espresso type from the various capsules you can purchase, put one in, hit a button, and moments later you are served an amazing espresso. As you can see, there's a type for everyone. In addition to these, Nespresso releases "limited edition" capsules a couple of times a year. While I don't like the additional waste generated by using capsules, I do have to admit that they do a great job of keeping the ground coffee fresh and oxygen free. If you aren't sure where to store all of those additional capsules, there is a nice affordable capsule carousel that you can pick up to store them on. In terms of build quality, the machine I have is very well built. I use it regularly, and have had no problems. It also looks really great! I have the stainless steel version, but there is a black version available as well. Some of the other brands also have white versions. If you've been on the fence about whether or not to pick up one of these espresso makers, I highly recommend that you go get one. Outside of Nespresso, there are a number of different brands that are licensed to make Nespresso espresso machines, including Krups, Magimix, Miele, Siemens, and DeLonghi.